As small places of worship built on plantations during slavery, Praise Houses still serve an important spiritual role in the Gullah community today. Members of the community, like Mary Rivers Legree, are working to protect the remaining praise houses, and ensure that outsiders acknowledge and respect their value. Excerpted and Adapted from the National Register of Historic Places nominations for the three sites. The Eddings Point, Mary Jenkins and Coffin Point Community Praise Houses, were built built ca. 1900. They are all historically and culturally significant for their central place in the religious and social life of the Gullah islanders. The buildings also represent a vernacular architectural form that has survived since the antebellum era. Praise houses were first established on St. Helena plantations in the antebellum period, as slaves used small frame houses or other buildings as places to meet and worship. After they became freedmen, they built praise houses on or near the old plantation, in most instances calling their community by the name of the former plantation or plantation owner. Although the existing praise houses date from ca. 1900, their function has persisted since before emancipation and the basic architectural form has been retained. The Eddings Point Community Praise House is a narrow, one-story gable roofed building of frame construction with the entrance in the gable end. 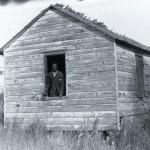 The Mary Jenkins Praise House was built by Kit Chaplin ca. 1900; Paris Capers, born in 1863, was one of the early elders. Members of Ebenezer Baptist Church still attend services here today; a cow bell, which is still in the praise house, has been rung for many years to alert the members to a service or meeting. All three Praise Houses were listed in the National Register of Historic Places on May 19, 1989. 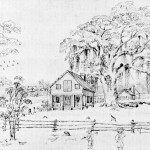 This sketch of one of the Praise Houses on St. Helena Island shows an unusual two-storey construction with an overhang and a porch. This Praise House was larger than most depicted in surviving images and standing structures. 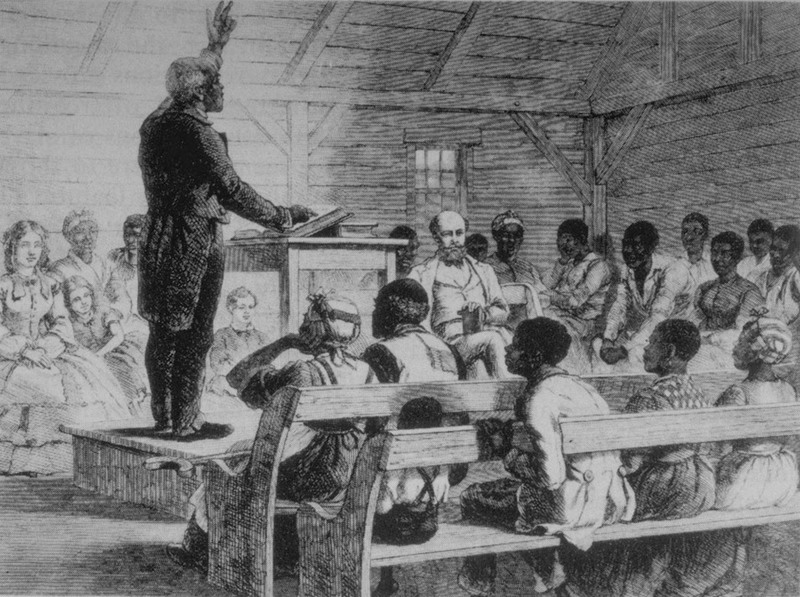 The size of the Praise Houses tended to be limited, due to the laws in South Carolina limiting the size of groups of slaves congregating at any time. Image Folder P-4285/05, in the Edith M. Dabbs Collection of Papers Relating to Saint Helena Island, S.C., Southern Historical Collection, The Wilson Library, University of North Carolina at Chapel Hill. 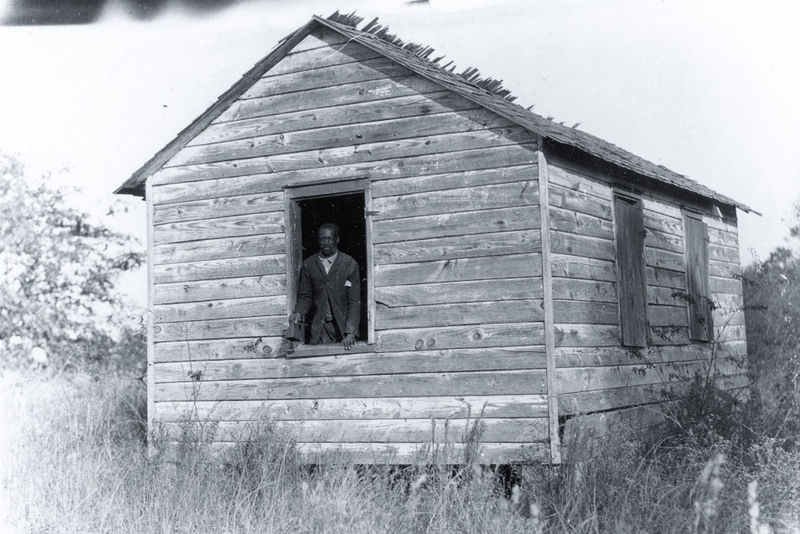 This is a rare photograph of a praise house on St. Helena Island. Praise houses were typically small, with benches around the outside wall. The ceremony or shout, was led by a preacher or deacon, and was based on a challenge-response form common to African spiritual ceremonies. Photo 1042a in the Penn School Papers #3615, Southern Historical Collection, Wilson Library, University of North Carolina at Chapel Hill. 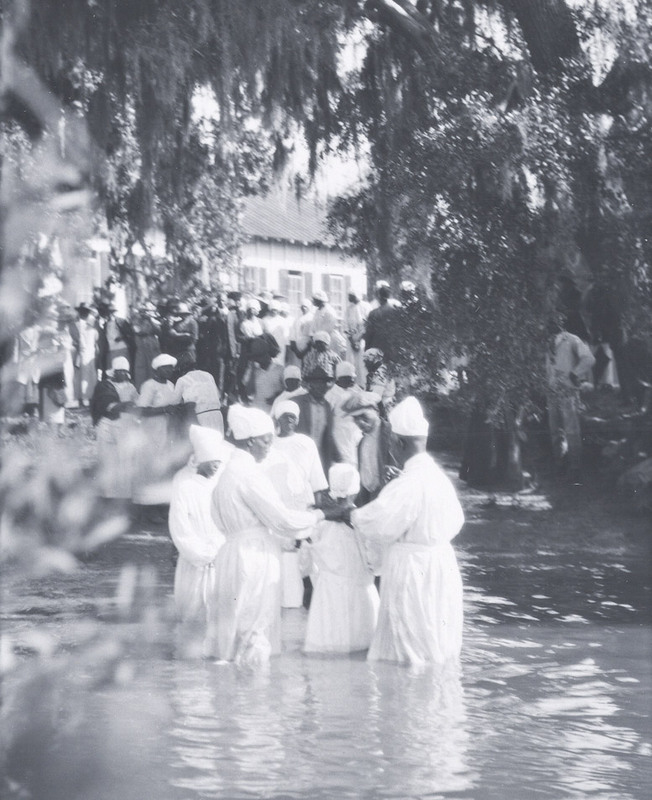 The Baptizing, Ebenezer Church, October 1910. 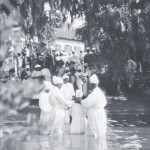 Baptism by immersion in the rivers and creeks was an important part of the religious tradition. Photo 1058c in the Penn School Papers #3615, Southern Historical Collection, Wilson Library, University of North Carolina at Chapel Hill. 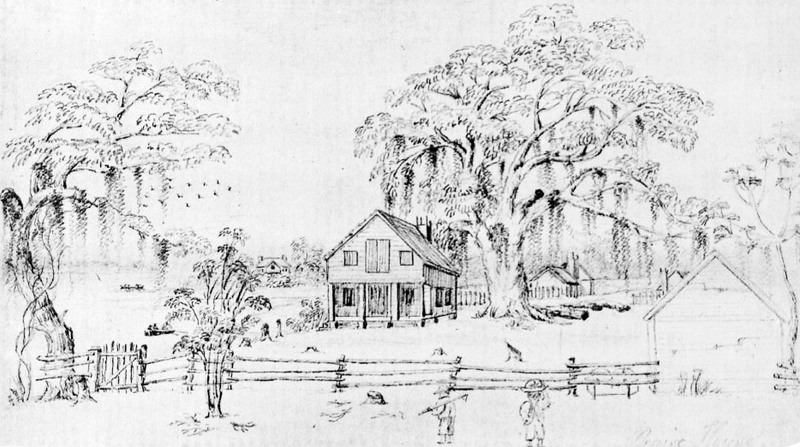 Close to, if not on St. Helena Island, this sketch depicts a praise house. 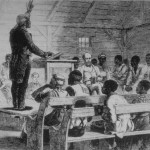 It is unusual to have the plantation owner and family in attendance with a slave preacher, even though he is described as a house slave who could read but not write. The image provides a rare view of the inside of a praise house. Image NW0176, www.slavery images.org, Virginia Foundation for the Humanities and the University of Virginia Library.